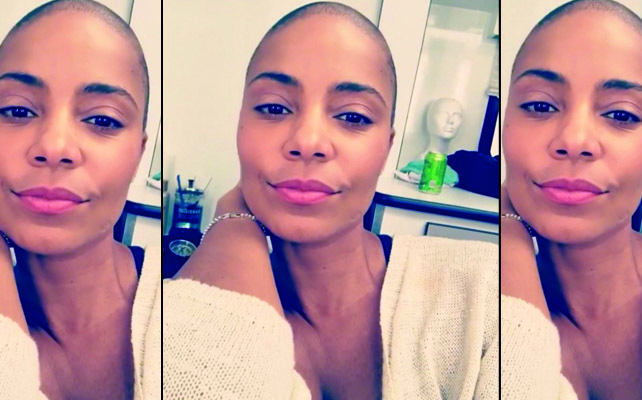 Sanaa Lathan has shaven off all her hair for her new movie “Nappily Ever After.” She looks absolutely stunning. 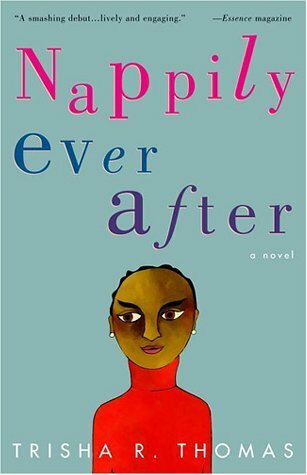 The film is based off the book by Trisha R. Thomas. I read the book many years ago and it one of my favorite books. If you have not read it please go check the book out at your local library or purchase through Amazon. The book is really about the way hair often define black women and their beauty. Lathan showed off her newly bald head on her Instagram page, and she seems to think it looks awesome as well. “Just doing my reveal”, she said casually as she tilted her newly bald head into camera. “So light I feel like I can fly away,” she continued before making a kissy face. In the film, Lathan plays Violet Jones, who has a seemingly flawless life until an accident at the hair dresser causes things in her life to unravel and she begins to realize that she was living the life she thought she was supposed to live, not the one that she really wanted. As previously reported Halle Berry was originally slated to produce and star in the film and also was going to shave her head for the part. So, its no surprise here that Lathan has chopped off all her locks. We here at The Culture Keeper can’t wait to see this Netflix original movie. Previous Post Beyonce family and friends get in ‘Formation’ to wish the Pop Queen a Happy 36th Birthday! Next Post Serena Williams debut photo of her beautiful daughter! Wow you go girl. Not everyone can rock that look.